From the "Standard Atlas of Grant County." 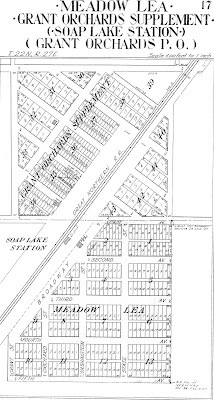 Location of the long-gone Soap Lake depot. Out on the Milwaukee Road Marcellus branch was this station. There was a town platted in 1917, but today only the grain elevator survives. 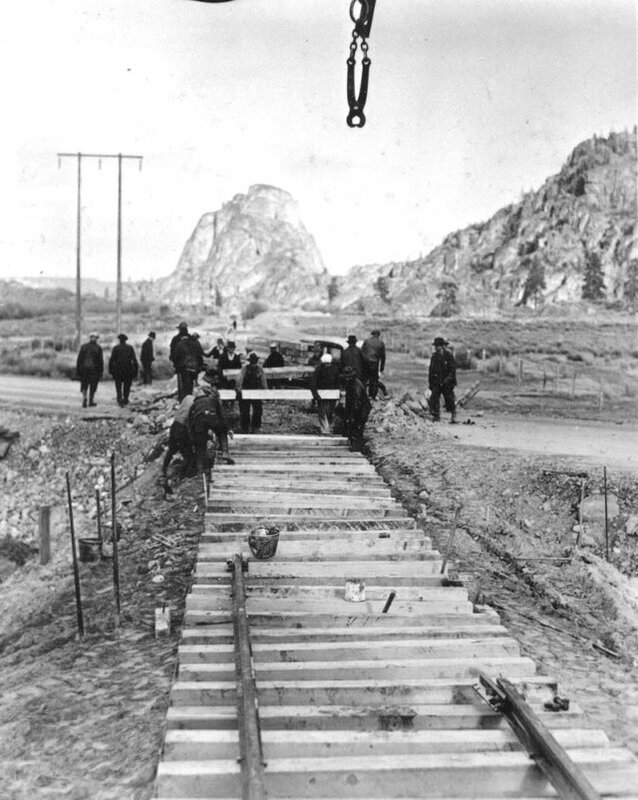 It isn’t a long railroad tunnel, but its construction was “plenty tough,” because of the solid granite mountain through which the hole was driven. 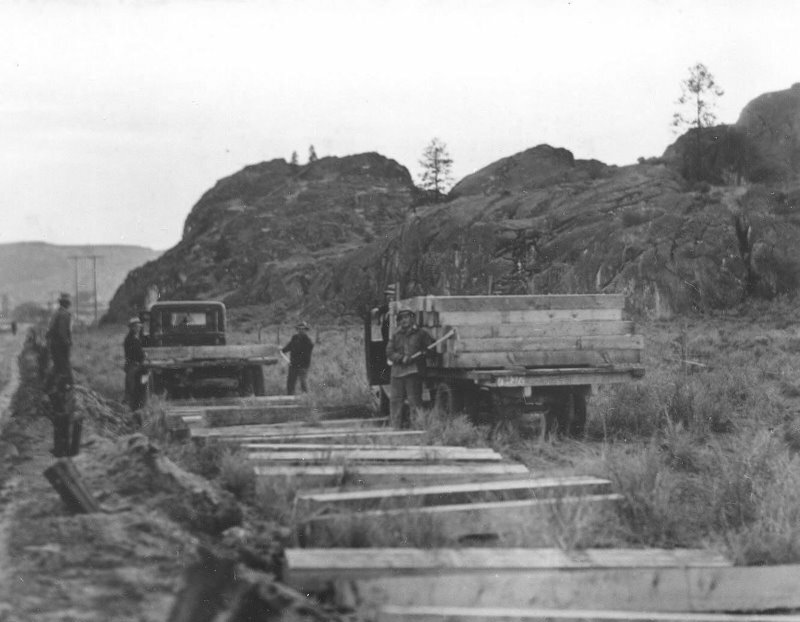 In the immediate foreground is the railroad right-of-way and tunnel, soon to be put in use by the MWAK company in the transportation of supplies to the Grand Coulee dam project. This trackage is part of the government railroad down the Grand Coulee from Odair, a point on the main line of the Northern Pacific. Above the railroad bridge are seen some of the homes in which reclamation bureau engineers are now living. The two tall towers support the big cable that is carrying cement for the highway bridge being built by the government. Across the river is seen part of Mason City. On the hill back of Mason City can be seen the deposit from which all gravel will be taken for the Grand Coulee high dam foundation. Pouring of concrete for the foundation is scheduled to start about September 1. The Northern Pacific started planning its Wahluke Branch in 1959. The purpose of the line across this area of the Columbia River Basin, known as the Wahluke Slope, was because it was to soon get irrigation water on about 125,000 acres from a new irrigation canal being built as part of the Columbia Basin Irrigation Project. According to Ken Cook, NP's agricultural director, this area would produce some of the highest yields of sugar beets, potatoes, dry beans, fruit, mint and seed crops, forage and grain ever recorded in the Pacific Northwest. 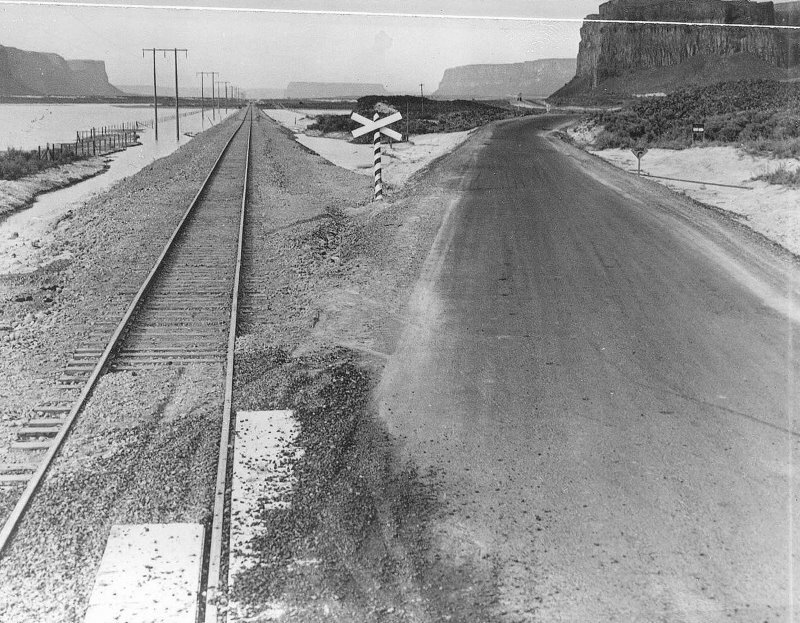 The line was to be constructed from Mesa, on the NP main line about 21 miles east of Pasco, west to Mattawa, a distance of 54.7 miles. The original plan was for the line to leave the mainline at Connell instead of Mesa. No reason was given for the change in plans. The NP was planning on spending $6 million dollars to build the line. Mattawa is located on the west shore of the Columbia River just a few miles south of Beverly, where the Milwaukee Road crossed the river. At this time, Mattawa had a population of less than 100. Authorization to build a 55-mile branch line to serve the Wahluke Slope area in Grant County, Wash., was received by the Northern Pacific from the Interstate Commerce Commission on Oct. 5, 1967. The ICC denied an application from the Milwaukee Road, which had been competing with the Northern Pacific for rights to serve the Wahluke Slope area. Tracklaying began in July of 1969. The first 31 miles of the line will be finished by year’s end. But later that year, tracklaying stopped. Profiles for the branch show the end of the prepared grade at MP 53.29, with a future end at MP 54.75. Track was never laid beyond MP 21.33, at the proposed station of Sagehill. The bridges were built to the end of the prepared grade and were all of heavy design. The rail used was heavy second-had 112 lb welded rail. The railroad left the line unfinished because business conditions changed and felt that there wasn’t enough agricultural development in the region to justify completion. The Burlington Northern held permission from the ICC to complete the branch as late as July 1978. Beyond the mid 1970s, the line was not used beyond Basin City due to a slide in the vicinity of MP 11 or 12, though the rail was good beyond it. The line was removed between Sagehill and MP 11.20 in 1983, and some time later removed to MP 10.0, about 1.5 miles west of Basin City. This removed any last rail from Grant County. This is the full piece that got edited to fit the space requirements when it ran Feb. 20, 2009 in the "Columbia Basin Herald," Moses Lake, WA. It was in the special insert titled "The History of Grant County 1909-1919." Due to that editing, some of the references to railroad names got chopped off and the final published piece turned out to read slightly odd. The area we now know as Grant County was once simply a portion of the Washington Territory, created in 1853. The man slated to serve as the first territorial governor, Isaac I. Stevens, led a party across the young country, looking for a northern transcontinental passage. In this capacity, he was given authority by Jefferson Davis, the Secretary of War under President Lincoln, to survey the Washington Territory for not only the passage, but also a viable railroad route and treaties with the local tribes. The earliest surveys were funded by the Northern Pacific (NP). Some attention was paid to the crossing area between the upper and lower Grand Coulee, at what is today Coulee City. They even considered a line down through the lower Grand Coulee, but could find no feasible way to get down to the land at the bottom. There was great interest in using Dry Coulee as well. As a result of the final surveys for this passage, the NP was given a charter signed by President Lincoln in 1864, which included a land grant from the federal government. These parcels covered a space of fifty miles on either side of the centerline of the tracks, but in a checkerboard pattern alternating with government land. 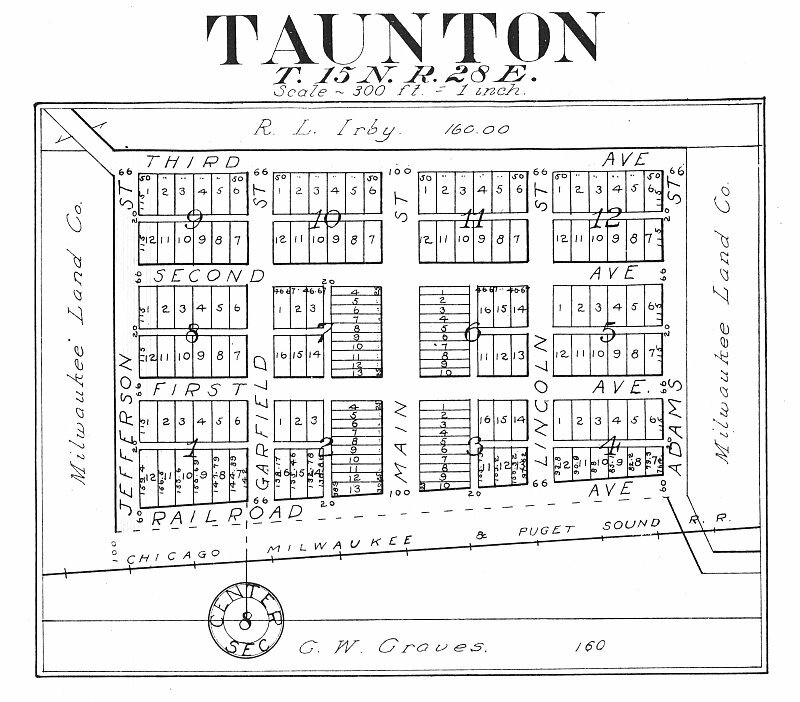 This strange arrangement was intended to increase the value of the land not granted to the railroad, assuming that the railroad access would be a boon to others. Just after the NP railroad line in this region was completed in 1883 between Spokane Falls and what we now know as Pasco, Lincoln County split from early Spokane County on November 24. Four days later, Douglas County was created, also splitting from its parent county. 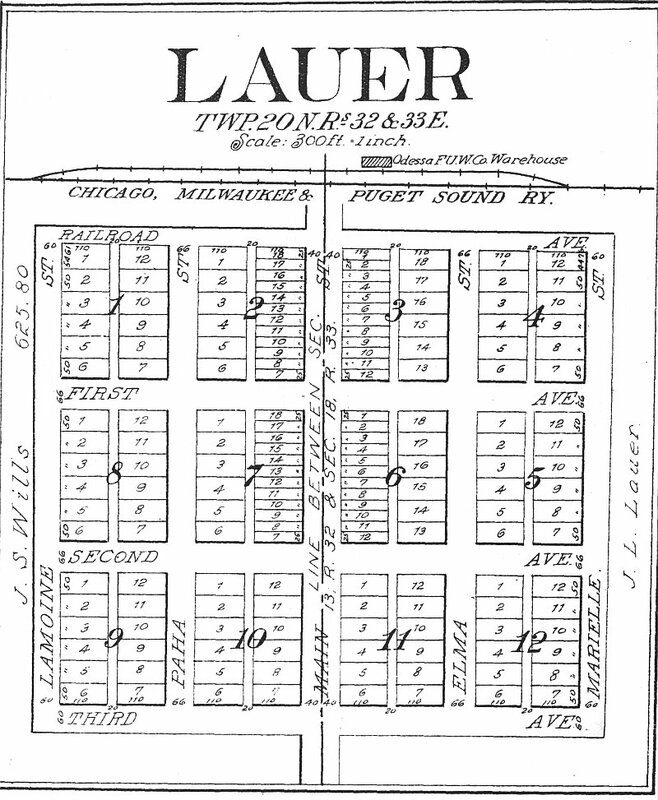 The earliest of the railroad lines in this area was the Seattle, Lake Shore and Eastern (SLSE). The SLSE had plans to build a line across the state, and then try to sell itself to the St. Paul-Minneapolis & Mannitoba (SPMM), which was still building through the Dakotas. The SLSE started building its Eastern Division in Spokane Falls in 1888, with the idea of meeting the Western Division somewhere in the middle of the state. The two halves never met, as the Eastern Division barely made it to Davenport, and the Western Division was redirected to connect with the Canadian Pacific near Sumas, east of Blaine. 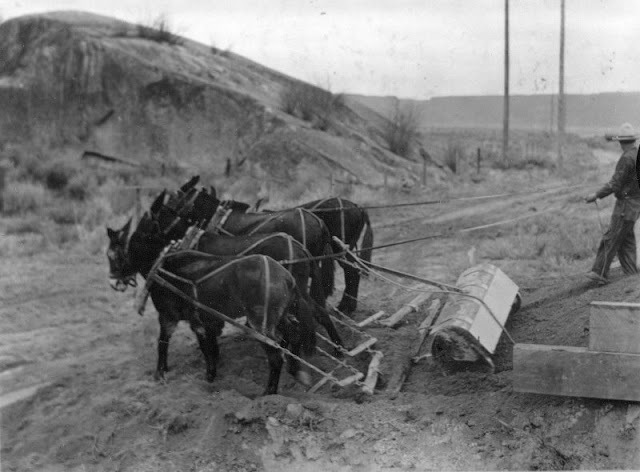 In 1888, the SLSE was doing preparatory grade work through Coulee City toward the west when it found itself in a war over a specific cut with the Central Washington (CW). 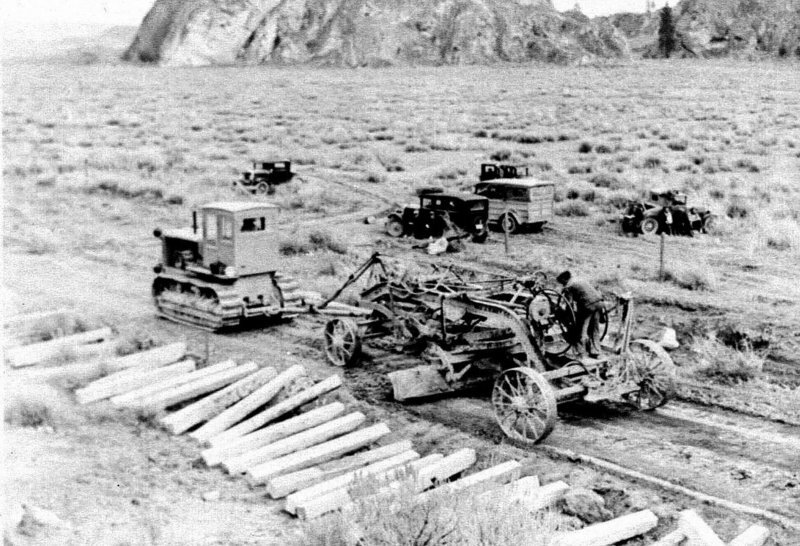 The CW had been quickly set up by the NP to slow construction of the SLSE, and had directed grading crews to go out and claim the best location. 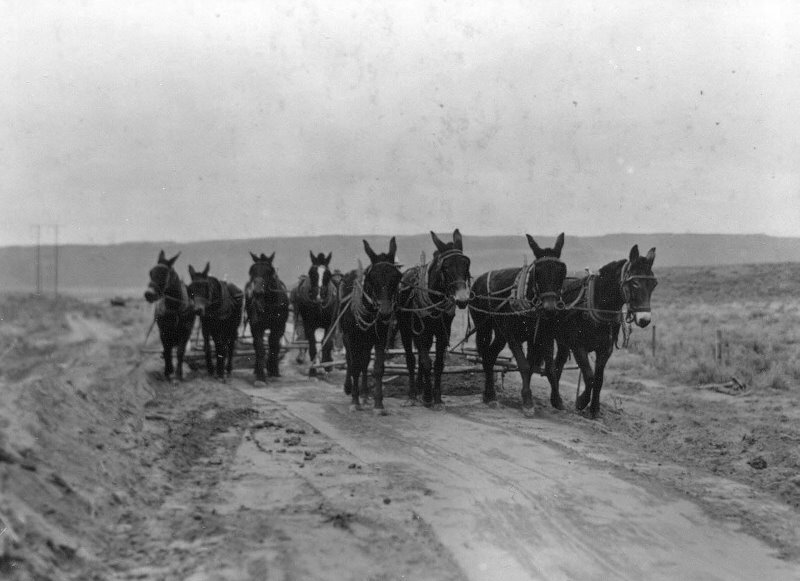 West of Coulee City, the only feasible path across the canyon floor had led them both to one narrow location. Tensions were high as both railroads jockeyed for a better position. The CW won the challenge, only because the NP bought out the SLSE, which changed its name to the Spokane and Seattle in 1890, but was shortly thereafter merged into the NP holdings. The CW completed its line to Coulee City in 1890; three years later, though, it went bankrupt, and was sold to the newly-organized Washington Central Railway (WC) in 1898. Scandals were just as common back in the early days of settlement in this area, as they are now. For example, the SLSE was a nightmare for investors. It was said that it organized only for land speculation or to make its promoters rich. The way it was financed caused commotion because money was raised by the construction company for building track, they then charged the railroad nearly twice its actual construction cost, leaving the SLSE with a huge debt. When the NP bought them out, stockholders were up in arms over the high price paid for the low-value railroad. The SPMM, meanwhile, had continued building across the northern states, and had been controlled by the Great Northern (GN) under the same owner since February 1, 1890. It had completed its line through central Washington in 1892. Early surveys, though, proposed that the line cross the state in the Coulee City area, versus the current location through Wilson Creek, Ephrata, and Quincy. On this route, the SPMM had built a siding beside Crab Creek at Adrian. In 1903, the WC constructed a connection line from Coulee City to this siding. At that time, the owners of the GN and the NP had been creating cross-over points with a merger of the two lines in mind. This Adrian connection was built to facilitate the speedy handling of freight off the WC onto the SPMM for quick forwarding to the Seattle area; the less-desirable alternative was to route it on the more-circuitous NP line. On November 1, 1907, the GN absorbed and dissolved the SPMM, along with many other GN subsidiaries in Washington. The GN had previously done a lot of its construction under various subsidiaries, to lessen any liability to the main company. Further south in the Big Bend, the Pacific Railway Company was incorporated with the state in October 1905, by the Chicago, Milwaukee, & St. Paul Railway (CMSP). The young company’s name was changed in January 1906 to reflect that it was the Washington construction line of its parent company. This name lasted for three years before changing to the Chicago, Milwaukee & Puget Sound Railway (CMPS) in January 1909. The CMPS completed the main line from State Line, Idaho, to Maple Valley in August of 1909. 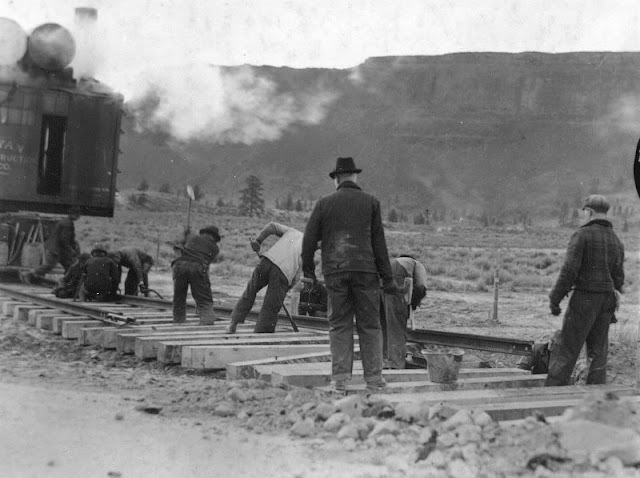 The CMPS had begun construction on a railroad bridge crossing the Columbia River south of Vantage a few years earlier, 1906. They intended to complete the bridge before the line reached that point; this goal was accomplished when the bridge was completed in 1909, just before the line to that point was also completed. As the construction moved west on its route toward the bridge, the company’s vice president, H. R. Williams, named the towns of Tiflis, Corfu, Smyrna, Jericho and Beverly. This town at the edge of the river was the one of the last to see steamboats on this stretch Columbia River; one in particular, the Saint Paul, had been used by the CMPS to transfer bridge supplies from the GN at Vulcan (a siding by the Douglas County line near Trinidad) to Beverly. Thus, when Grant County split from Douglas County in February of 1909, there were three railroad lines that crossed through the territory. In the southern part of the county was the CMPS, passing from Idaho through Warden and Beverly, on to Ellensburg and Tacoma. To the north was the WC, run by the NP. This line came from Cheney to Coulee City, and then branched south to Adrian, with plans to build toward the Okanogan mining district. Cutting across the widest part of the county was the GN, passing from Spokane, through the towns of Wilson Creek, Soap Lake, Ephrata and Quincy, and then on to Wenatchee and beyond. The big news in 1909 was the completion of the third northwestern transcontinental railroad on May 14. The railroad doing the actual construction was the CMPS, which was a subsidiary of the CMSP. Surveys for two branches had already been completed. One started at Warden and headed south, turned east to Ruff, and then traveled on to Marcellus; it was completed in 1910. Ruff had a depot built to handle the west end of the branch. The other branch started eight miles north of Warden on the first branch at Tiflis, and went out to Neppel; this branch was completed in 1912. The CMPS was then sold to its parent company, the CMSP on December 24, 1912. The NP then organized a subsidiary called the Connell Northern (referred to here as the CN) in 1910, linking Connell to Adrian and Adco. This also completed a wide loop between the NP mainline stations of Cheney and Connell. Railroads were the hot technology back in the day. Any town of significance wanted the railroad to build through there, because it was assumed that doing so would ensure the town’s survival. Little boys dreamed of being the engineer of a big steam locomotive pulling an important train. Once the railroad was built through town, people came to depend on it. It delivered the mail, it delivered people, and it delivered shipments to and from the town. As such, the published schedules became known quite well. Any railroad that could not keep to its schedule came into disrepute. Sometimes this complaint of tardiness was also coupled with a need for a decent place to conduct such business, as the same issue of the paper argued. “Quincy has no depot after two years, not even a shed to protect the waiting passengers. The only passenger service is at 12:44 AM and 3:44 AM and sometimes it is bitter cold waiting for a train that is late several hours. The business at the station will average $2,000 to $3,000 a month, and lots of business is kept away because we are on a blind siding, and yet the company will not consider a petition of our citizens for a depot." Most towns along the railroad lines eventually did have a depot. While it was used as a shelter and waiting area for passengers, it was also used as the business office for the agent of the railroad in town. The depots on the CW were two-story affairs, the upper story housing the agent and his family. Other railroads had variously-sized depots, depending on the importance of the town and the business the railroad expected to garner from it. In 1912, the Public Service Commission of Washington ruled on an order by the Town of Krupp that the GN’s westbound train No. 3 stop daily at the their new depot for both passenger and freight transportation. The GN responded in 1913, wanting to modify the order because a local company was already providing freight service. The five-month conflict ended in March of 1913, when the commission denied the modification. The town had claimed significance, and the railway was required to comply. Railroads were a way of life back then, and many things were held in that context. One recorded story shows how life centered on the railroad, even for stray dogs. In December of 1904, the Quincy Quill published the obituary of one Mike Heywood –Richardson-Hale, a stray bulldog who had claimed the town as his own. After he had received a blast from the steam valves on a locomotive, Mike the dog had challenged the locomotive every day of his life. One fateful day, he instead challenged the wheel of the locomotive and lost. The local newspaper, deeming Mike to be of local fame and significance, had honored him in written form for posterity’s discovery, and thus also gave us a brief insight into the daily affairs of the local train yard. The 1903 Quincy Record mentioned that the depot remained a gathering place, even after work hours. "The railroad workers were paid off at this place one day last week and spent one half of the night bruising and the other half in patching up the bruises." Grain played an important part in helping the railroads survive, and many towns had a place to load grain in the early days. Over time, farmers combined their resources to gain better rates from the railroad and to be able to sell larger volumes of grain at a time. By December 1, 1918, there were thirty-nine grain elevators licensed in Grant County: six in Hartline, five in Quincy, four each in Coulee City and Ephrata, three each in Krupp, Ruff, Wheeler and Wilson Creek, and two each in Corfu, Seiler, Trinidad, and Warden. These elevators were owned variously by nineteen different companies. Train wrecks were also common in the early days. The roadbed was new and unsettled, and not as straight, making the tracks wobbly and uneven. The equipment was more lightly constructed, offering less protection and more destruction. Without the radios and real-time dispatch of today, everything was run by a rigid central clock and timetable which did not leave room for unexpected situations. Human error also crept in. How does a GN train become wrecked in Coulee City, which is clearly not on the GN line? In 1909, not long after the opening of the tracks between Coulee City and Adrian, flooding at Wilson Creek caused the GN to reroute their priority train, the Oriental Limited, over the WC branch out of Spokane, to be routed back onto the GN at Adrian. Someone turned a track switch at Coulee Junction (Odair) wrong and the Oriental Limited went off the end of track on the west side of town, instead of going south to Adrian. They had time to slow down some, but the engine did fall off the end of track. The Quincy Gazette ran an article about another incident entitled “Many Cars in the Ditch” on September 3, 1909. The paper’s correspondents reported that the accident occurred at the gravel pit two miles below Trinidad. The incident destroyed both locomotives, delayed rail traffic for 27 hours, and prompted the engineer to relinquish his employment with the railway. Yet another big accident occurred nearby, on one of the many curves on the hillsides between Trinidad and Quincy. On August 26, 1917, a train jumped the tracks after racing through the curve too fast. There were good times on the railroad as well. In July of 1915, the Liberty Bell made a great transcontinental tour to reach the Panama-Pacific Exposition in San Francisco. The original intention of these and other excursions was to display the symbol of freedom at various exhibitions in the hope that it would inspire viewers in the healing of tensions caused by the Civil War. After years of transporting the damaged bell across the country by train, this was to be its last trip. It stopped in Ephrata on its way to Seattle on July 13, and was greeted by a large crowd of well-wishers. Railroads were once the primary means of getting mail from one town to another, and had the ability to get that mail to its destination with a speed not rivaled today. The Railroad Post Office (RPO) was a delivery and sorting service in motion; what now happens in buildings and is then trucked to its next destination, once happened en route. Most towns along the railroad in the Big Bend region of the Columbia Basin owe their livelihoods to this fast mail service by rail. During the first decade of Grant County’s existence, several RPOs were in service along these rural railroad lines. The GN between Spokane and Seattle, established in 1893, and the NP between Spokane and Coulee City, established three years earlier, both operated RPOs in the Big Bend area. Wilson Creek was both one of the many midpoints on the GN RPO route and an Intermediate Terminal for the same line. Trains from Spokane would stop there to change engines and crews, deposit mail, to refuel engines and add water to the tender, and to be rearranged in the yard. About the year 1919, the coaling dock burned down in a spectacular fire. One story reports that the GN set up a small operation for gathering coal from a Trinidad-area mine to substitute for the dock. At the close of this first decade in Grant County’s history, the railroads were at their peak; from this period on, they began a steady decline in both influence and the people’s dependence on rail service. View shows Steamboat Rock in the distance. The highway in the photo was known as the "Speedball Highway" due to its being straighter and paved compared to the old way to the dam. Current location of this photo is underneath Banks Lake. The "Million Dollar Mile" segment of current SR155 is just to the right through the bluff on the right. Named because of the cost of that stretch of road. 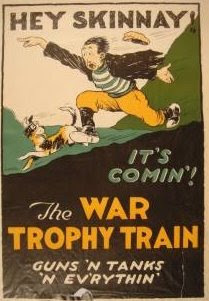 The Trophy Train, touring the state to interest people in buying Victory Loan Bonds, was in Mansfield from 7:15 to 11:00 p.m. The train was an exhibit of 1200 different pieces of ordinance, small arms and ammunition. Also displayed were battle scarred trophies, both Allied and captured. Much interest was caused by the little French "Mosquito Tank" which performed outside the train running up and down the dirt embankment along the railroad track. Life like dummies, clad in all types of uniforms, made the exhibit more realistic. Current location of this photo is underneath Banks Lake. Map of NP "Ritzville Branch"
The numbers in the squares are the section numbers of the township and ranges.